Australian singer-songwriter/guitarist Gus McKay is making blues-rock fans very happy with his latest album, Talisman. 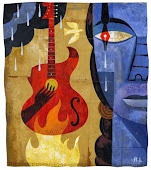 Blues and roots-rock influences abound, including J.J.Cale, mixed in with Gus' Peter Green meets ZZ Top inspired vocals. Essential for blues and rock fans, Talisman is a fascinating spin start to finish. Songs about purpose and dignity are at the core of Talisman, which also has a deep connection to rural life in Australia. A sense of sparseness permeates Talisman, which is very much centered on Gus’ own ideas of life, while his lyrics are underscored by the excellent sound that Gus receives from his band, including Ronan Charles (drums, keyboards, and tenor sax) and Phil Waldron (bass, double bass, bouzouki, fiddle, trumpet, cello, banjo, pedal steel and tin whistle). 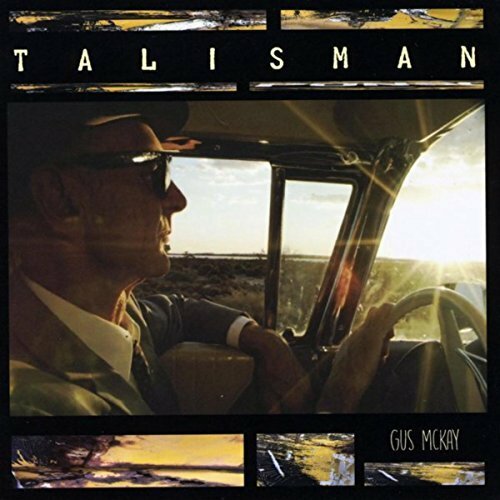 The first thing that grabs you about Talisman is the sonic depth of these songs, while guitar fans will be amazed at the sound that Gus coaxes from his many fine guitars, including Teles and Strats as well as a 1940's Dobro and an Australian “Galvo” tricone resonator made from 100 year old galvanized roof tin/iron.The art of modern electric blues is alive and well on Gus McKay's Talisman. Gus McKay is a successful songwriter and musician with 20 years as a seasoned recording artist, performer and producer. 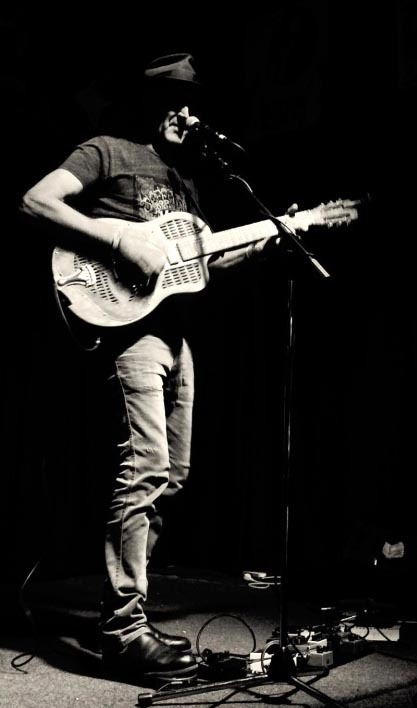 A farmer and stockman most of his life, but now a full-time musician, Gus McKay sings and writes all his own material, plays guitar, blues harmonica and tenor sax. Gus also performs in a number of bands and as solo artist in his hometown, Fremantle in Western Australia, Gus McKay's earthy style of music features roots and blues infused music but with a new alt/jazz flavor, building a future style for upcoming releases on his self-funded and self-produced RPM (Rollin’ Plains Media) label. Marty's review: this most stunning release shows the diversity in Gus McKay's talents and professionalism. The album is a musical introspective that creates a landscape of sounds and lyrics that Gus has threaded together from his experiences and visions of everyday life. The lyrics are sometimes dark but also honest and poignant. His guitar playing is sprawling and skillful and the production on the whole album is expansive and at times breathtaking. This is one release that will certainly be noticed and roots music fans and the like will wrap it around themselves and enjoy the warmth and textures that are created. Sweden's Lily Locksmith releases Rhythm and Blues rocker "Player"
Totally and utterly obsessed collector of music since I was a teenager. Started with my father's 78s and 45s. An endless, consuming passion for all music that's hip and cool. Northern Beaches quartet Down For Tomorrow energetic grunge-punk anthem "What Could Have Been"